Having some fun today with special orders for succulent trays. It’s all about textures and natural colors. 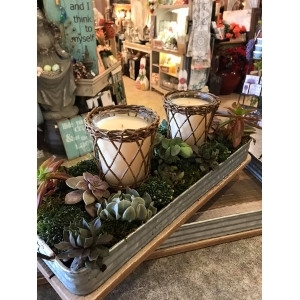 Our wicker candles are a great accent. We’ve got tons of new succulents arriving for spring. If you don’t have a green thumb we’ve got artificials that look so real you can’t tell the difference.